For a lot of people, opening certificates of deposits is their means of saving. This type of investment is relatively secure, and can offer more in terms of interest than the usual savings account. Saving enough is equivalent to security especially now that everything has become expensive and retirement plans may not be enough to cover future expenses. There are a lot of people who are tight with their budgets and one solution for future financial security is by opening certificates of deposit. A bank that offers good rates in terms of their certificate of deposits is Virtual Bank. This bank or company has been providing many quality banking and financial services. They also offer convenience with hassle free online banking. One of the easiest processes they offer is the eCD accounts or the online certificate of deposit. The features of their certificates of deposits are quite advantageous for those who want to open an account. All of their eCD are FDIC insured which is a very important factor to consider. The online certificates of deposits are paperless accounts. This means that necessary statements, notices, and disclosures are all provided online. In terms of rates which are the reason why people would open CDs’ are also quite competitive. For their one month to two months CD term, the interest rate is 0.25% with an APY of 0.25% while an interest rate of 0.70% and an APY of 0.70% for the six month term. All their terms should have a minimum deposit of $10,000. On the other hand, those who want longer periods such as for the 12 month term to 2 year term, the interest rates are 0.90% with an APY of 0.90% as well. The interest rate they have for the 3 year term is 1.30% with an APY of 1.31%. The last term that people can choose when they want to open a certificate of deposit account is the 5 year term with an APY or annual percentage yield of 1.51% and the interest rate is 1.50%. For those who are looking for convenience when it comes to saving, Virtual Bank can give it all to you with just a click of the mouse. Save more with less hassle with their eCD. When you think of online banking, you may feel rather apprehensive about applying for an account. Traditional banking has always provided a sense of familiarity and security. Because of this, making transactions from an Internet bank may lead others feeling unsure and doubtful. Fortunately, Internet banks like Ascencia Bank has shown that it has what it takes to rub shoulders with the leaders in banking. Currently, they offer a 1.05% APY for 1-year CD deposits. This amount is almost comparable to CIT Bank’s 1.08% and Ally Bank’s 1.00% – both of which are operating in the traditional banking way. The 1.05% APY offering of Ascencia Bank is higher than another Internet bank giant, Virtual Bank. The latter currently offers a 1.01% APY. 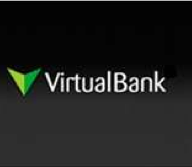 However, it can be noted that while Ascencia Bank compounds monthly, Virtual Bank does so daily. Generally, daily compounding can yield higher interest, but only on a small-scale difference to the monthly compounding. Opening a CD account under Ascencia Bank would only require you to deposit $500 at the least, and up to $97,000 at most. As with any other banks, they also offer different CD terms. For their 6-month CD, an APY of 0.75% is issued. Both 2-year and 2.5-year CDs get a 0.95% APY, while a 3-year term allows one to earn a 1.16% APY. Lastly, their 5-year CD scheme can allow up to 1.28% annual growth of your money. In as little as 20 days upon approval of your application, your money starts to benefit from the APY offered. You start gaining interest when all fees are paid and documents are submitted or signed. Because an APY assures you of the total percentage growth if and only if you maintain the account for the specified term, an early withdrawal will forfeit you for gaining the same benefit. In this case, penalty fees are drawn in accordance to the regulations specified by Ascencia Bank. Similarly, withdrawal is not allowed within 90 days from opening the account. Ascencia Bank is among the first few online banks that started to mushroom out in the past decade. Established in 1999, Ascencia Bank was launched by Porter Bankcorp, Inc. as a subsidiary. Now, it is recognized as one of the most successful Internet banks in the country. Its headquarter is located in Louisville, KY.